An unfair constructive dismissal, which can also be called a constructive discharge or constructive termination, is a situation whereby you are forced into the resignation of your employment due to your employer creating a hostile work environment, placing extraordinary or unreasonable work demands on you. This act is considered a forced termination and considered an unfair dismissal. Employment Solicitors Manchester can provide valuable professional assistance in making a claim against your employer for a breach in your employment contract. We will strive to achieve the most favourable outcome in resolving your unfair dismissal. We will advise how your dismissal claim procedure will happen and the possible outcomes and awards involved that you will be entitled to. Generally, a constructive dismissal is brought about by poor treatment of an employee by their employer. It may have been a one-off situation or regular infringements over a period of time; either way, their behaviour will have left the employee feeling that they had no other choice than to resign from their position. If you feel you have been subject to this kind of treatment then you have a right to make a claim against your employer in an employment tribunal. 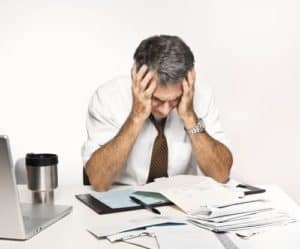 Unfair behaviour at work could be constituted as acts of bullying or harassment, unreasonable changes to your working environment or the hours you have to work, you may not have been paid for work you have undertaken or have suffered a demotion for no legitimate reason. You could have been accused of unfounded poor performance or threatened with a reduction in salary. There may be health and safety laws being breached, or insufficient compensations around the workplace to support a worker’s disability. Even cases of unsupported stress related to the working role could be grounds for a claim. To make a claim you must provide evidence that a fundamental breach of contract has occurred. At the time of resignation you should also have made it clear that the reason stated was the sole cause for you terminating your employment position. You should not have shown any kind of agreement into or acceptance of the breach in behaviour as this could impact your chances to make a claim. Ideally, a worker would continue to operate under duress or under protest in order to reserve their rights in conjunction with their claim. Issues with inappropriate treatment of staff suffering ill health can often cause complications especially if they have accepted certain allowances to their position during any point of the situation. You must have been working for your employer continually for a minimum of 2 years to make a claim. This must be a company employment role and not one of a sub-contactor or self-employed role. You must make your claim within a 3-month period from the date you terminated your employment. With our team of solicitors specialising in constructive dismissal cases we understand the intricacies of employment law and how the legal requirements will relate to your personal situation. Using our experience and knowledge we are in the prime position to advise you of how best to proceed, what the various possible claim outcomes will be, and how to present yourself and your case in order to receive the maximum compensation claim award you are entitled to. We handle all of our client’s claims with sensitivity and professionalism. We understand that constructive dismissal cases are often of a very delicate nature and will endeavour to make the process as painless and stress-free as possible. This is one of the measures we instigate to make sure we are considered one of the finest employment solicitors in the Manchester area. Lodge a formal grievance – According to the guidelines set out by the ACAS Code of Practice it is expected that an employee should lodge an official grievance against their employer before taking any steps to resign. At this stage it is expected that your employer should have the right to resolve the situation amicably before heading to an employment tribunal. If you fail to lodge a formal grievance you could be subject to a 25% reduction in damages by failing to comply with the ACAS Code of Practice. Specify constructive dismissal at resignation – You should include all areas of complaint in your resignation letter to your employer. Stating your unfair treatment and how your employer has performed a breach of your employment contract will outline your intention of making a constructive dismissal claim. Your letter of resignation will confirm the issues raised in your formal grievance and also outline your employer’s failure to act upon your notification to resolve the situation. Basic Award – The basic award involves a calculation based on factors of your age, time of service with your employer and your average week’s pay. The maximum weekly pay limit for claims is set to £508.00 and the maximum basic award is set at £15,240.00. Your award amount can be reduced if any of the regulations laid out have been broken or your conduct has been inappropriate. Compensatory Award – As well as the basic award The Employment Right Act states a further amount to be awarded to compensate the losses incurred attributed to the employer’s ill-suited behaviour. This amount will consider loss of earnings, including possible bonuses or commissions, loss of future earnings, loss of statutory rights, loss of further company benefits, loss of pension payments and more. You will also be compensated for expenses in seeking new employment if alternate employment hasn’t already been obtained. The maximum award for compensation stands at £80,541.00 or a full year’s gross salary – whichever is lowest. It is imperative to seek advice before taking action in a constructive dismissal case. If you haven’t adhered to the guidelines or the structure of a constructive dismissal procedure then you may severely hamper your chances of receiving an award or compensation for your unfair treatment. Our constructive dismissal experts at Employment Solicitors Manchester will make sure you engage in the process correctly at every step of the operation. Only this way will you be able to maximise your chances of the best outcome in your situation. Negotiating an exit – A further reason for seeking advice in advance to lodging your grievance or resigning from your job is that there could be an alternate option to discussing a compromise with your employer. This can often be preferred option for both parties, arriving at a financial and mutual agreement of terms in which to separate. This line of procedure is known as a Settlement Agreement, previously called a Compromise Agreement, and this type of negotiation can save time, stress and costs to both employer and employee, but must be handled with strict legal representation. Employment Solicitors Manchester has all the knowledge and experience to understand exactly what your claim is worth and how much your lump sum award should amount to. You also need to be aware of all legal rights to eliminate any risk of mistake or unacceptably low settlement. You should always seek legal advice before taking any action where your employment position is at risk. We are here to protect you from costly mistakes and protect your entitlements and legal rights. You can call on 0161 82 11 559 or contact us by clicking here for an initial consultation regarding your employment position and constructive dismissal. We will offer you complete and full advice in easy to understand terms to help you to establish the most likely outcomes for your case in a relaxed and pressure free environment. We understand how difficult these procedures can be so our expertly trained staff deliver all of our services with empathy and understanding. It is completely up to you whether you decide to pursue your claim or not. We’re here to help you make those important decisions backed by our years of experience and industry knowledge.